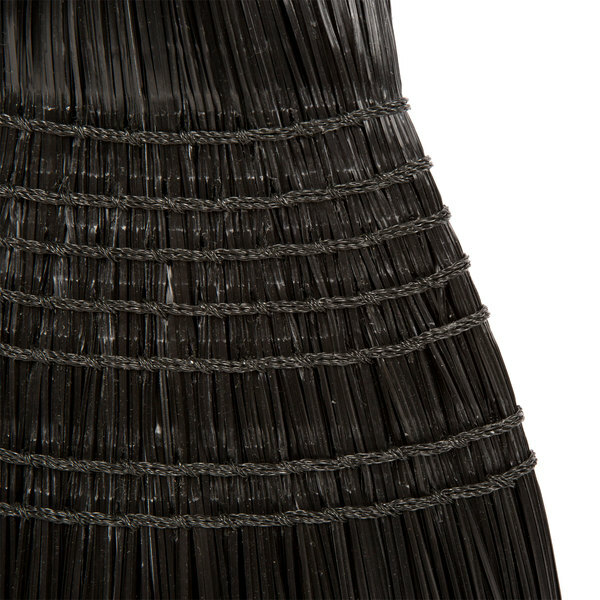 The Carlisle 4167903 black upright synthetic corn broom is also known as the warehouse/janitor broom. 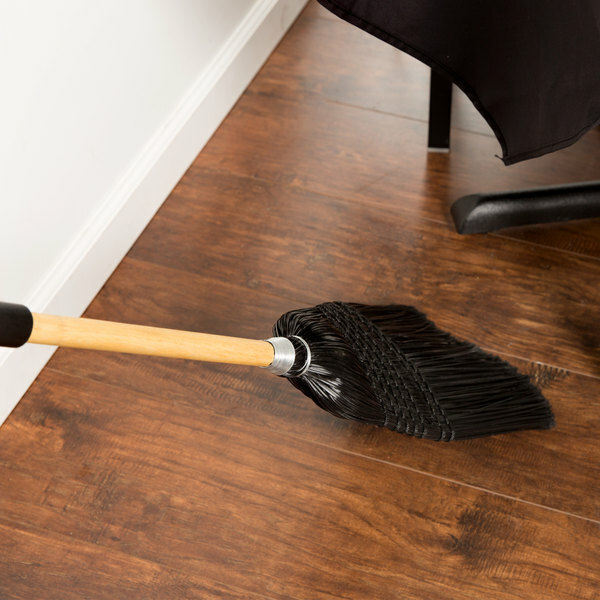 This broom has a foam grip handle to make sweeping more comfortable. 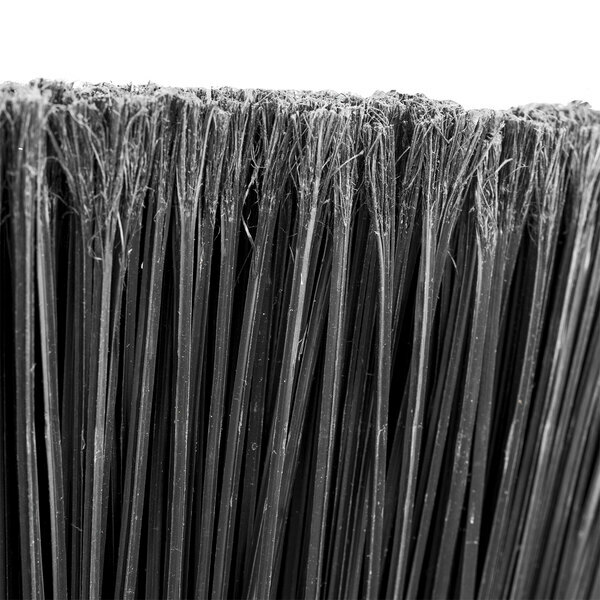 It comes with black chemical and liquid resistant bristles that sustain temperatures up to 225 degrees Fahrenheit. Also, the bristles are "X" shaped, which allows for superior sweeping on carpeting and entry mats. It provides an angle broom sweeping performance at a corn broom price. This Carlisle 4167903 upright, heavy duty, synthetic corn broom is a great addition to any janitor's closet or warehouse where it is in need of constant use. 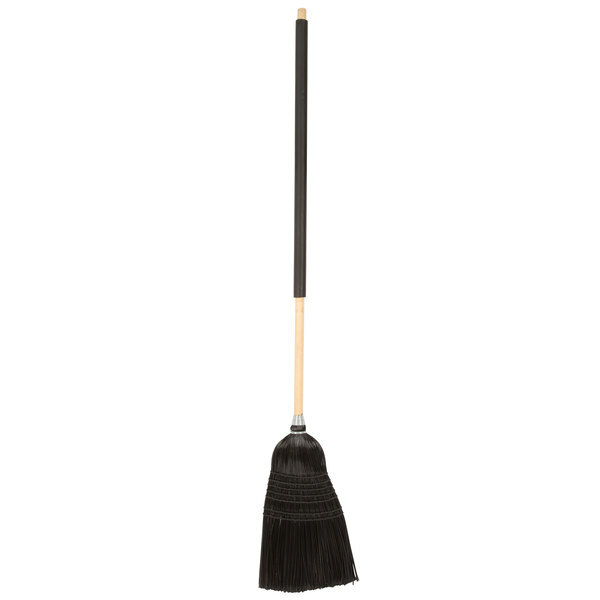 This broom is 57" long making it larger than the synthetic corn parlor broom. The brush length is 12". This is a great little broom for the price. Its probably best for small and light duty cleanups. I use it daily to sweep my small shop and it works great! 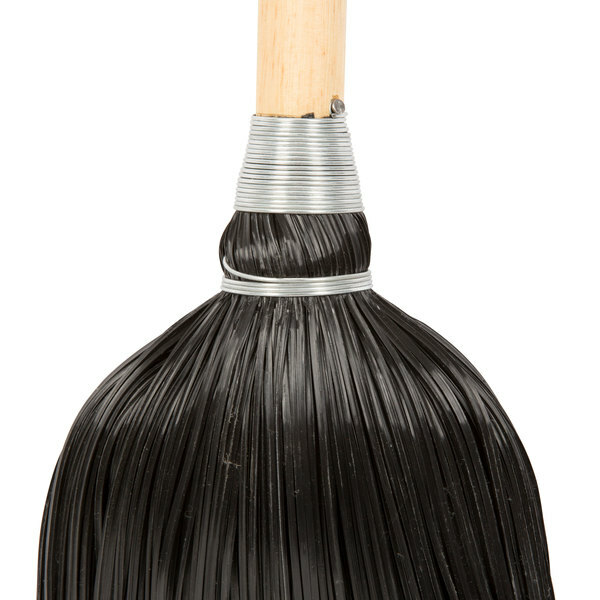 Carlisle 4167903 Synthetic Corn Janitor Broom Black is a pretty good broom, major bristle power without the cleanup of other brooms, comfortable rubber handle that's flexible. 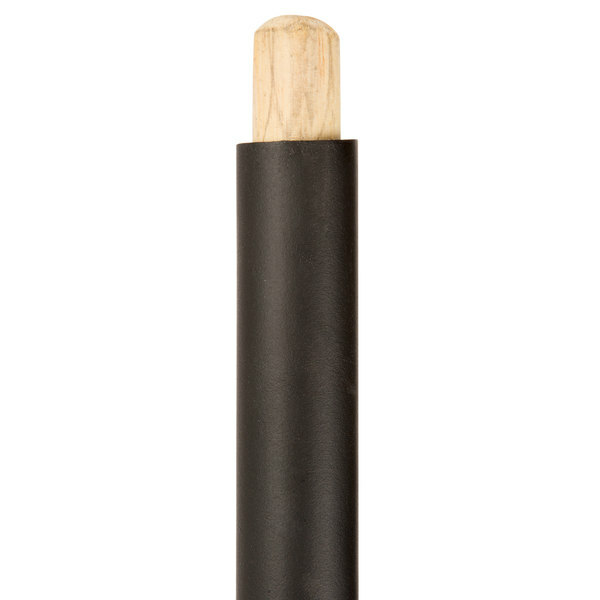 Sir Clean recommend this product Carlisle 4167903 Synthetic Corn Janitor Broom Black, the material is very resistant, the design is perfect to sweep the floor. Nice broom, seems to be great quality. For the quality the price is unbeatable. Will be ordering some other ones in different sizes as well. Great broom, about the equivalent as a real corn broom but with more durability and less likely to mildew. The padded handle is great and makes sweeping that much easier on you. The plastic of the broom is quite heavy duty. If you leave this sitting on the end, however, the plastic will bend and stay in a bent shape. Not a fan of this. 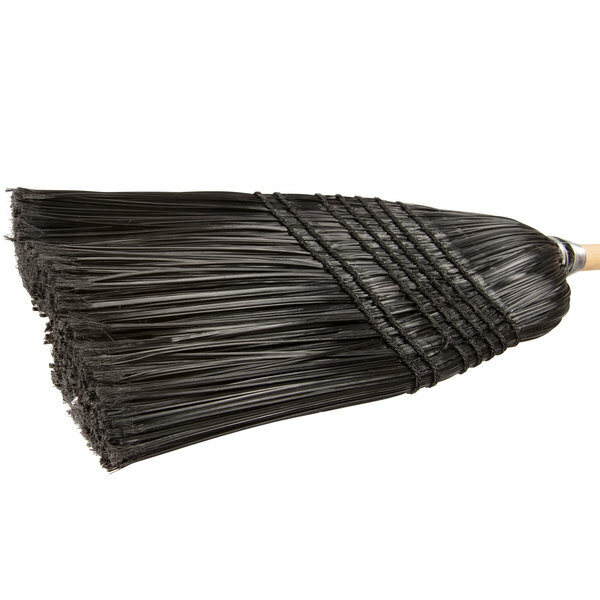 Very heavy duty broom - cannot imagine this ever wearing out - great for front and back of house. Inexpensive enough to always keep around. broom works well, the only draw back is it is much stiffer than a regular corn broom. the pieces do not fall off like a regular broom though. Great broom, seems to work better than a normal broom and looks like it will hold up well, and the padded handle is awesome! My only complaint is you guys put your shipping stickers on it which don't peel off easily, still really fast shipping! 4 stars only because i wish the handle was about 5" longer. the bristles are great, and will outlast any corn broom thats for sure. This broom reminds me of the one mom used to have a long time ago. I works really well and the foam handle makes it a pleasure to clean. I like these better than traditional corn bristle brooms. You don't have to worry about getting them wet and the bristles falling out all over the place. This broom sweeps up flour and sugar easily - and it doesn't stick to the bristles. Pound on the floor a couple times, broom is clean. Love it! Will purchase more for our second store. This broom is awesome. works expecially well for sweeping our patio floor outdoors as well as sweeping indoors. love the padded handle as well. thanks.